Disclosure: I may be compensated by the companies mentioned in this post. For more details, see my disclosure policy. Christmas in Portugal is yet another excuse to break out the cakes. 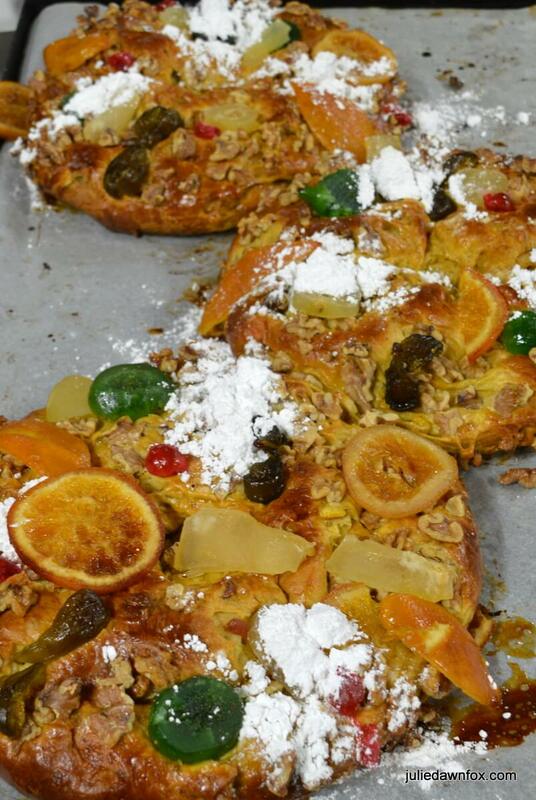 While the colourful Bolo Rei (King cake) may be the star of the show, the less glitzy Bolo Rainha (Queen cake) is the Portuguese Christmas cake for me. Especially since I’ve had the privilege of learning a few of its secrets. The ingredients and methods for making the dough for Bolo Rainha are the same as for Bolo Rei and can involve a surprising amount of alcohol. On a behind-the-scenes trip to Pastelaria Capuchinha in Viseu, with Pedro and Franziska from Portugal on a Plate, I learned how the proprietor adapted Chef Silva’s recipe 28 years ago to create her own sought after version. I am sworn to secrecy but let me just say that the blend of Portuguese spirits, liqueurs and fortified wines is potent and full of flavours that come through in the cooked cake. Most recipes simply use port wine but there’s nothing to stop you experimenting at home by adding such things as Licor Beirão. King or queen cake – what’s the difference? Bolo Rei has a long history and its shape and golden dough represent the gift of gold brought by the Magi as a gift for the Baby Jesus. The sweet, spicy aromas symbolise the frankincense while the bright crystallised fruit on top of the cake are the myrrh. 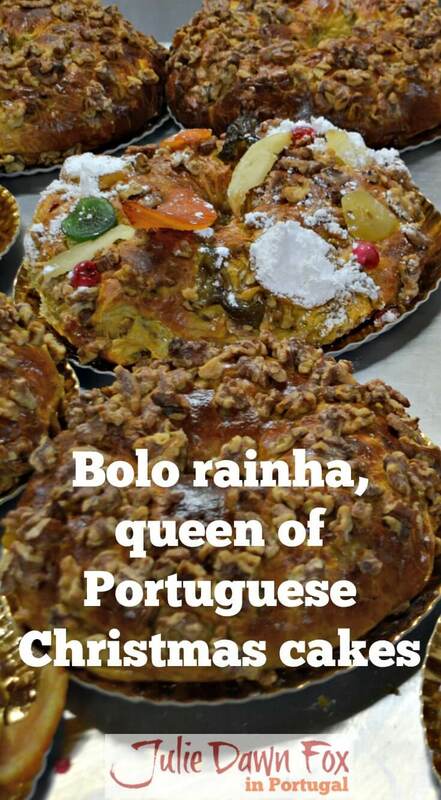 Not everyone likes the fruit, however, so the Bolo Rainha merely has a hint of candied orange peel and is otherwise stuffed with sultanas, walnuts and hazelnuts with a generous sprinkling of walnuts on top. A casual enquiry about the different size of holes in the centre of the cakes led to a hands-on voyage of discovery, for Pedro at least. Apparently, the size of the hole depends on how big your elbows are. And rolling the dough into a ball requires a specific technique. Once you’ve mastered the art of making a ball, use your elbow to make a hole then pull and shape it into a ring. Simple. Note: The dough used to teach Pedro was not subsequently cooked so no one will be picking jumper fibres from their teeth. Despite the amount of alcohol, Bolo Rainha doesn’t hold a great deal of moisture and will dry out fairly quickly if you’re not careful. 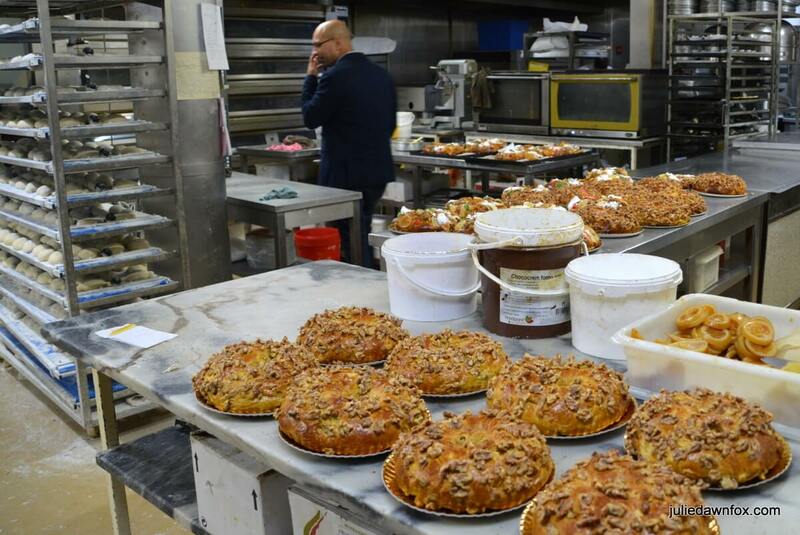 Try to get a freshly-baked one if at all possible and aim to scoff the lot within a day or two. What’s your Christmas cake of choice? If you're interested in visiting or moving to Portugal, why not get my free insider tips and resources by email? These newsletters also include blog updates and information about relevant products, services and special offers. Almost done! Just one more essential step to go. Please check your email and click the link to confirm your subscription and get access to my insider tips for Portugal. If you can't see the email in your main inbox, check your 'spam' folder or 'promotions folder if you use Gmail, just in case your email filters have been working overtime. Actually, I love American-style fruit cake. Nuts and candied fruit. This is my favorite too, Julie. I don’t care for all the candied fruit in Bolo de Rei. Merry Christmas to you (from Austria, where the cake–and bread–options are endless!). looks yummy, eating our Christmas cake now. This year it is our Australian recipe. Hi! I'm Julie, a Brit living in central Portugal since 2007.My insider tips and resources have helped thousands of savvy travellers create unique itineraries.Let me help you find historical towns, traditional villages, stunning landscapes and delicious Portuguese food and wine.